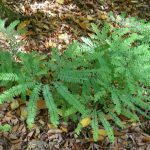 Living in one of the oldest and most biodiverse places on earth, it’s easy to take our native plants for granted. 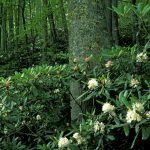 Look beyond the showy favorites—rhododendron, mountain laurel, native azaleas, dogwood, and sourwood—and you’ll find beautifully understated plants that create welcoming wildlife habitats and gorgeous gardens. Investigate the planting location. What does it tell you? Soil: Is it well-drained or does it hold water? What is the pH? 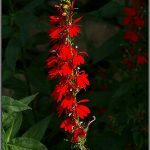 Some of our most showy native plants require specific soil conditions. 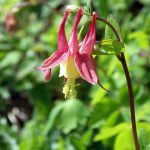 The Turk’s Cap Lily, for example, likes rich, slightly acidic soil. Light: How do the intensity and timing of direct sun and shade change throughout the day and during each growing season? Aspect: Does the garden face north/south/east/west? Space: Can both the horizontal and vertical space accommodate mature plants? Some grasses and wildflowers grow several feet tall! Elevation: What is your altitude? 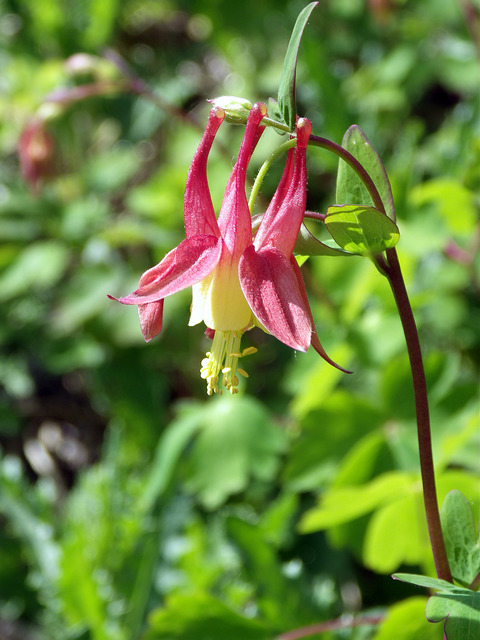 Even a few hundred feet in altitude change can make a difference in frost hardiness. 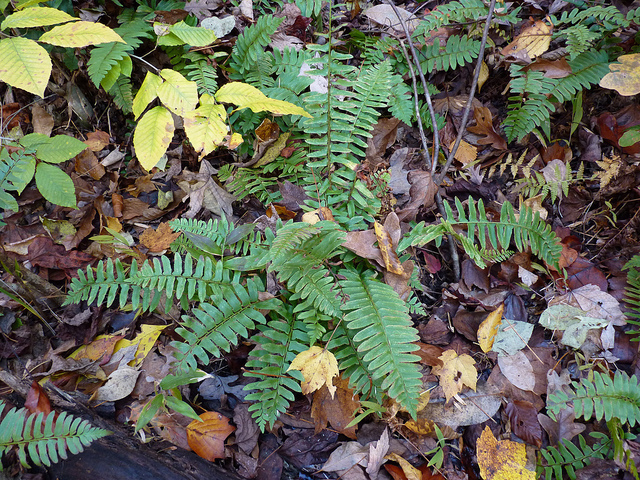 Going native means focusing on plant diversity and layering. 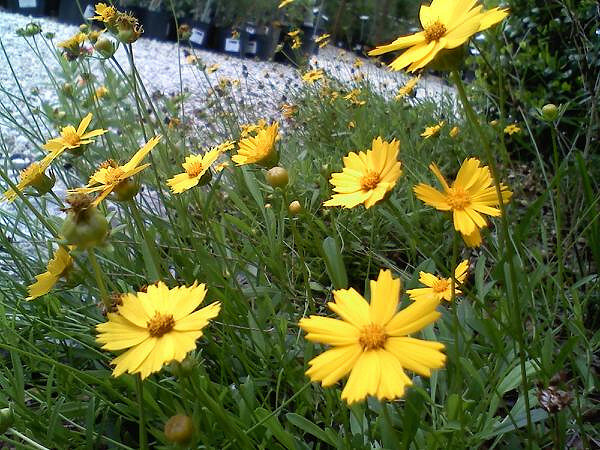 According to the authors of “Landscaping for Wildlife with Native Plants” (https://content.ces.ncsu.edu/landscaping-for-wildlife-with-native-plants): “Clustering similar types of vegetation allows wildlife easy access to seasonally abundant food sources without excessive movement and increased exposure to predators.” Create layers by planting low-growing plants and shrubs under taller ones. This produces a healthy environment in which birds can nest and feed. 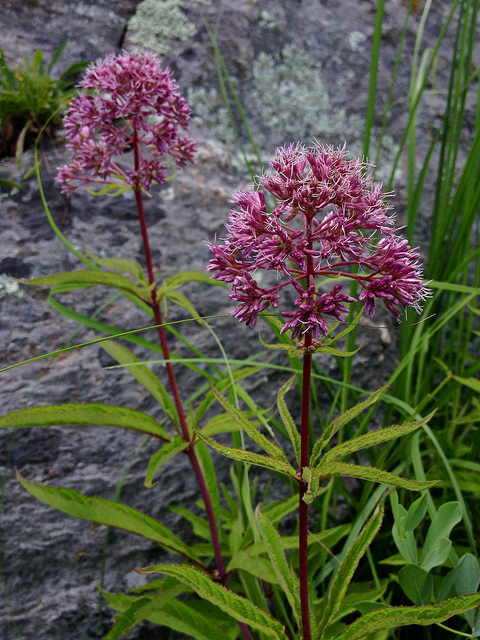 Wildflowers often come to mind when we think of native plants— for good reason. 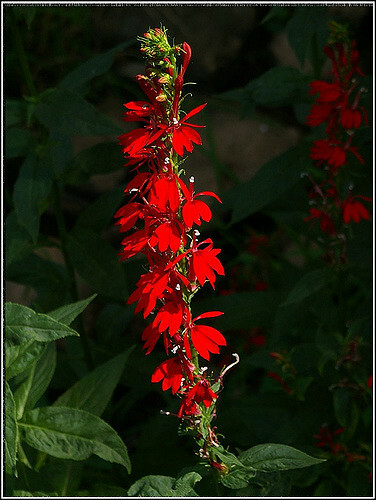 They attract pollinators and add vibrant color. 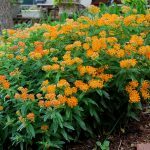 Reliable choices for our region include: eastern bluestar (Amsonia tabernaemontana), eastern columbine (Aquilegia canadensis), and lanceleaf coreopsis (Coreopsis lanceolata) for spring; butterfly weed (Asclepias tuberosa), summer phlox (Phlox paniculata), and green-headed coneflower (Rudbeckia laciniata) for summer; and Joe-pye weed (Eutrochium fistulosum), cardinal flower (Lobelia cardinalis), and New York ironweed (Vernonia noveboracensis) for fall. 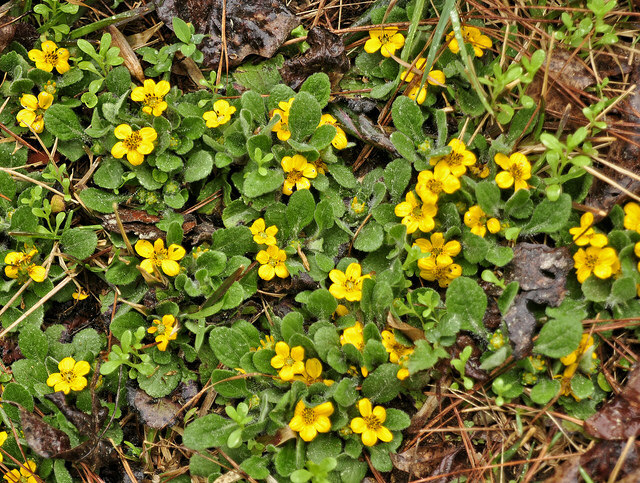 Instead of planting a cultivated groundcover, consider a native that thrives in shady areas. 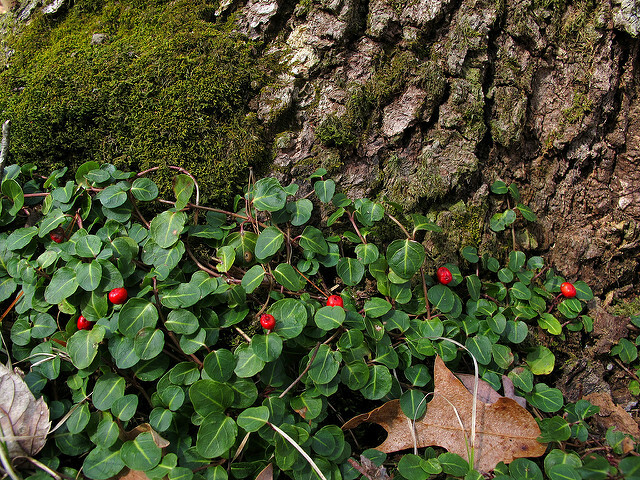 For color and impact, partridgeberry (Mitchella repens) is hard to beat. 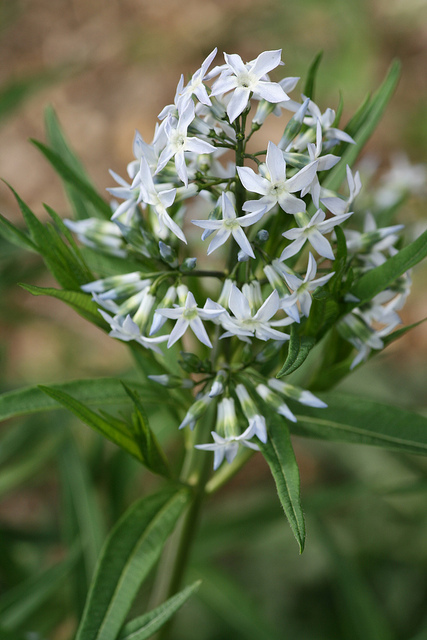 In the spring, its small white flowers are a striking contrast against the plant’s vibrant green leaves. In the fall its bright red berries look holiday-inspired. 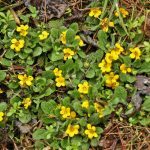 Green and gold (Chrysogonum virginianum) is a popular low-growing groundcover perfect for rock gardens or along a woodland path. 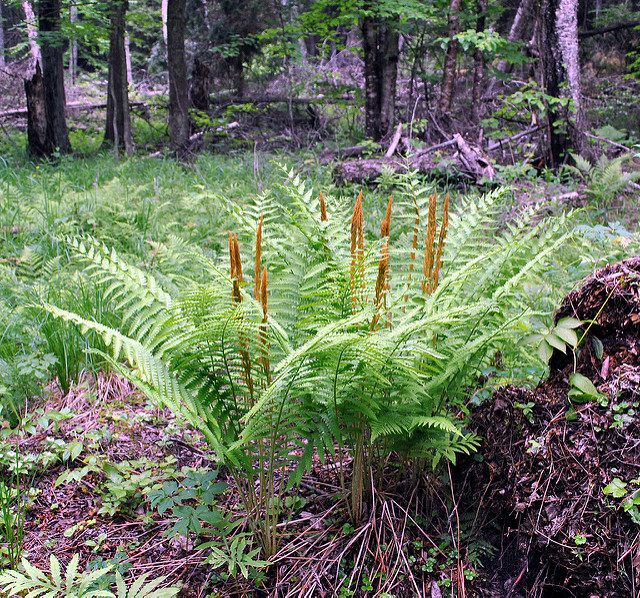 They may not be show-stoppers, but in shade gardens nothing quite compares with a lush stand of ferns. 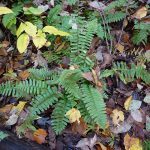 Use cinnamon (Osmunda cinnamomea) and Christmas (Polystichum acrostichoides) ferns, for example, to provide a sturdy backdrop for their more delicate relatives like maidenhair fern (Adiantum pedatum). 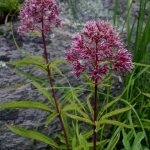 It’s easy to overlook these hardy plants that provide a rich habitat for songbirds, skipper butterflies, and small mammals. 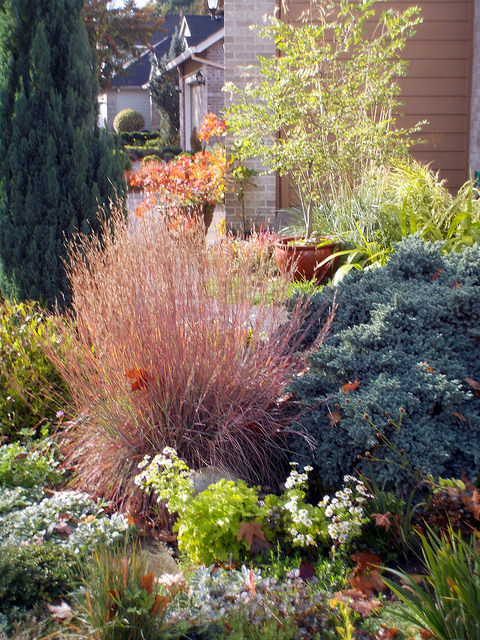 But to add height, texture, and delicate color to your garden, grasses provide a low-maintenance option. 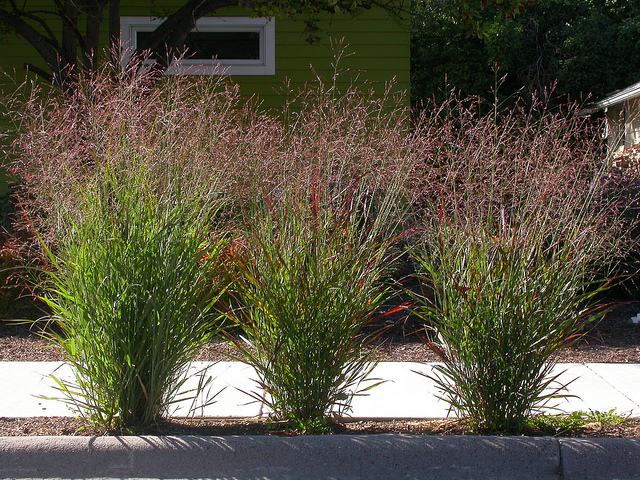 Switchgrass (Panicum virgatum), for example, has pink-tinged flower particles which create a cloud-like effect in mid-summer. 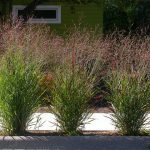 Little bluestem (Schizachyrium scoparium) develops a blue cast in the summer that turns copper-colored in the fall and lasts through winter. 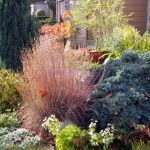 With so many choices available, making decisions about what is right for your garden can be overwhelming. 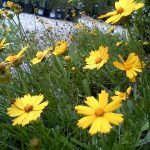 Fortunately, there are excellent resources for navigating the world of native plants. 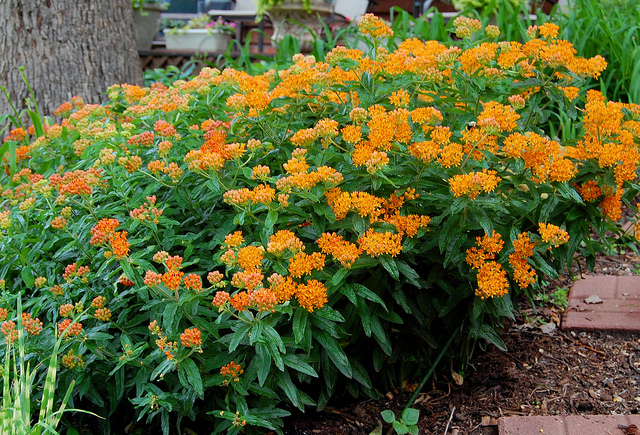 Purchase your plants from nurseries and gardens that specialize in propagating natives. 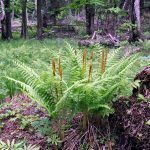 Not only do plants harvested in the wild rarely survive, the practice of harvesting them degrades the very ecosystems we know and love. 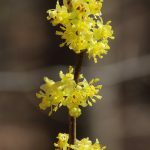 Forsythia and Asian azaleas are the first signs of spring in many of our yards, but you can light up your garden year-round if you plant flowering shrubs native to Western North Carolina! 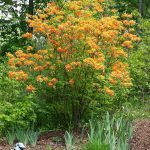 In addition to flowers, many native shrubs provide berries, good fall color, and/or winter interest. 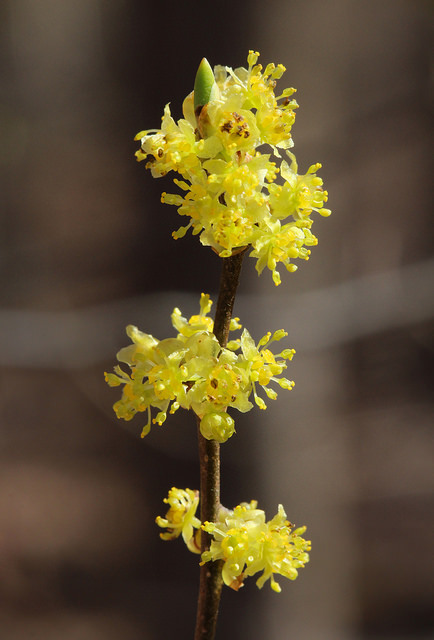 For a native replacement for forsythia, try spicebush (Lindera benzoin). 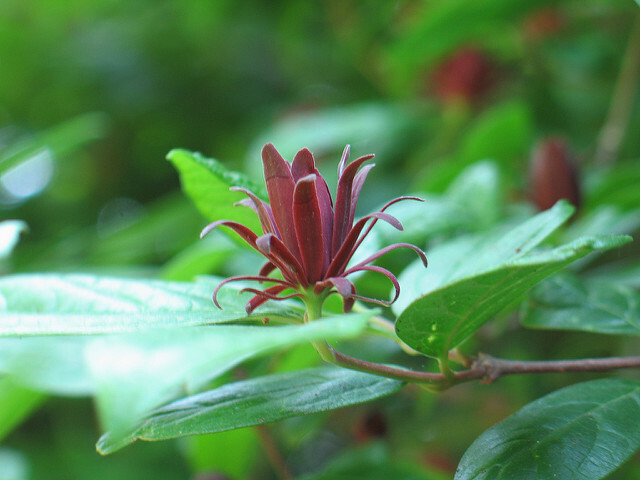 Although its yellow flowers in spring are subtler, spicebush has delicate red berries in summer and good fall color. 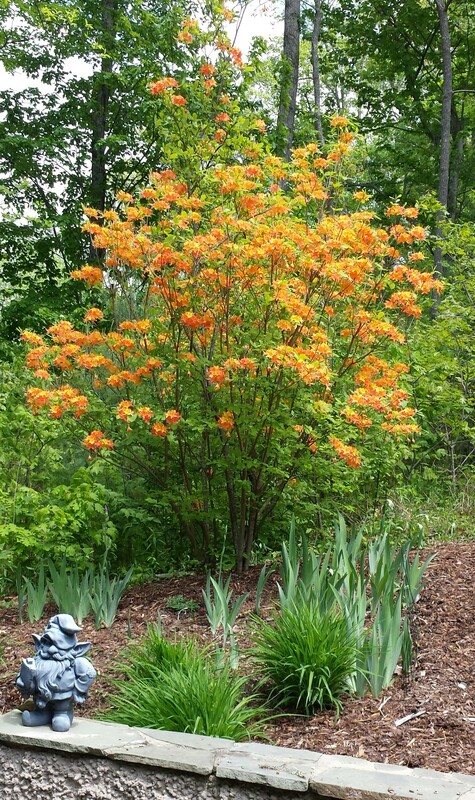 Flame azalea (Rhododendron calendulaceum) is showier than most Asian azaleas with its bright orange flowers. 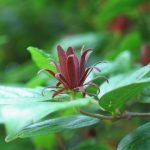 As spring progresses, sweet shrub/Carolina allspice (Calycanthus floridus) will provide unusual red flowers and lovely fragrance. 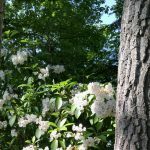 Mountain laurel (Kalmia latifolia) works best if you already have it on your site; beautiful flowers and evergreen foliage! 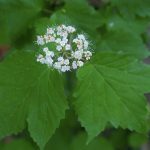 Look for three species of native viburnums, which will not only bloom, but provide berries beloved by birds: Arrowwood (V. dentatum), Mapleleaf (V. acerifolium), and Possumhaw (V. nudum). 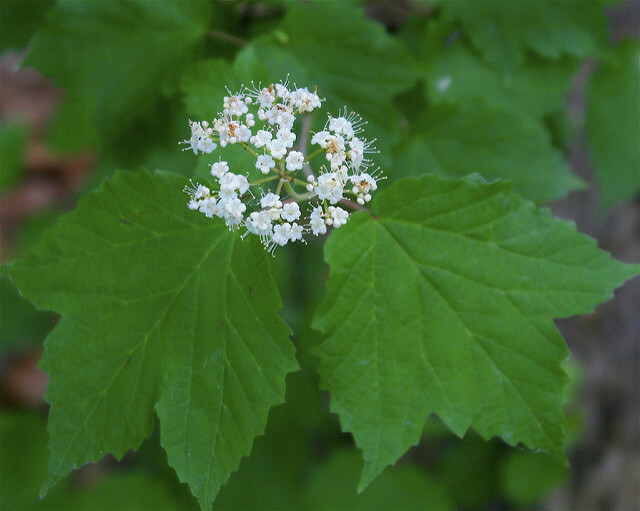 Virginia sweetspire (Itea virginica) is another spring staple, with delicate white blossoms. 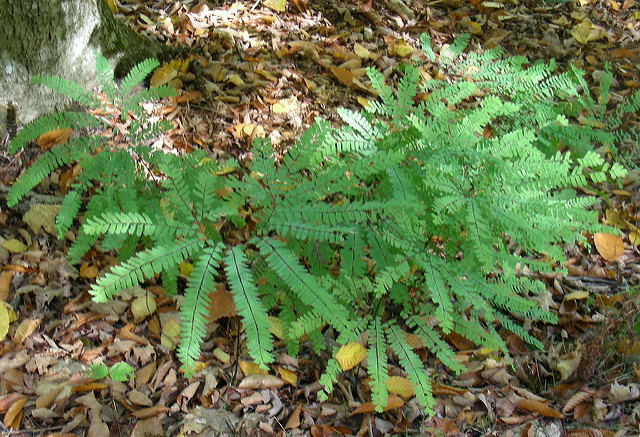 This is a good shrub for slopes because of its tendency to spread by suckers! 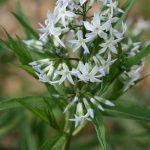 When your summer annuals are bursting with colorful blooms, there are several native shrubs that provide background greenery with distinctive white blooms. 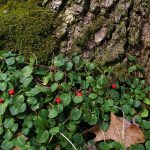 Buttonbush (Cephalanthus occidentalis) and Mountain Sweet Pepperbush (Clethra acuminata) will grow in full sun or shade, if planted in a moist location. Plant ninebark (Physocarpus opulifolius) in a range of light and moisture conditions; some introductions have colorful foliage, too. New Jersey Tea (Ceanothus americanus), wants at least partial shade and will tolerate moist conditions, but also grows in drier areas. 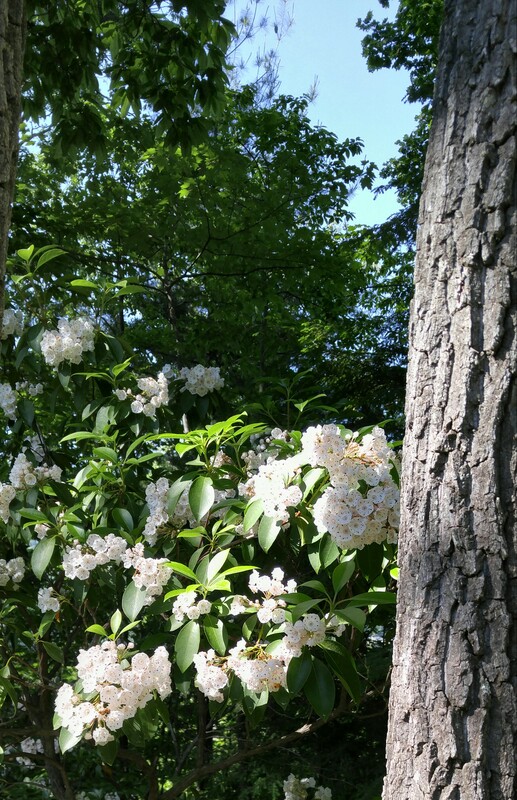 Many of these shrubs may naturally occur in your landscape if you do a little detective work! 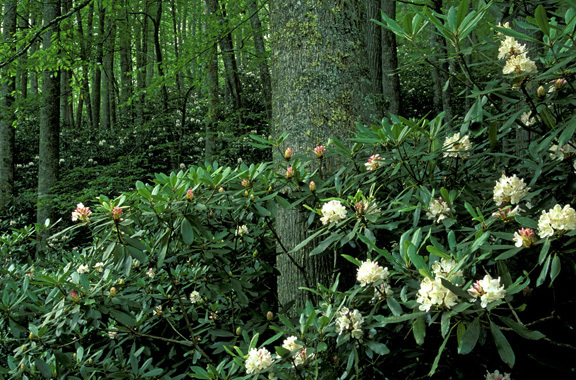 Rosebay rhododendron (Rhododendron maximum) is a common native in our landscapes. 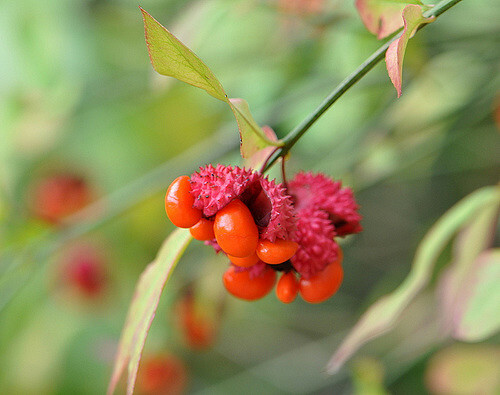 For fall, strawberry bush (Euonymus americanus) is a shrub whose tiny blooms you may not notice, but that has stand-out berries in fall. Even in winter you’ll see interesting flowers appearing on hazelnut (Corylus americana). 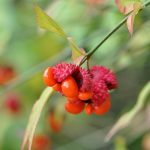 And winterberry (Ilex verticillata) will sport attractive red berries if the birds don’t find them first!